Don L. Barbee II, 47, De Pere, passed away on Monday November 19, 2018. 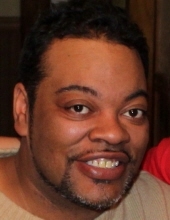 He was born on April 29, 1971 to Sheila Banks and the late Don Barbee in Springfield, IL. Don graduated from West De Pere High School and UWGB. He was a Customer Service Rep in the Health Care and Insurance fields. Don enjoyed intellectual debate, was a collector of movies and video games and appreciated fine cuisine . Most of all he was a good and compassionate friend to many. He is survived by his parents; Sheila and Curtis Carter, Brother Jamal (Becky), two nieces, Kintressa, Alyvia, and a nephew Anthony. Don was preceded in death by his Father, Don Barbee, and his Aunt Shirley Roberts. Friends may call at Ryan Funeral Home, De Pere from 4PM – 8PM Monday November 26th. Visitation will continue after 9:00AM Tuesday At Highland Crest Baptist Church, Green Bay, until time of service at 11:00AM with Pastor Jim Downs officiating. To send flowers or a remembrance gift to the family of Don L. Barbee II, please visit our Tribute Store. "Email Address" would like to share the life celebration of Don L. Barbee II. Click on the "link" to go to share a favorite memory or leave a condolence message for the family.